I have grown up eating this pudding. My mother makes this often. She learnt it from my pipi (eldest aunt) who in turn had learnt it from her mother-in-law. So this recipe has been going around in the family for quiet some years now. Many years ago I had helped pipi making it once. And I have seen my mother make it numerous times. But I never tried making it on my own before this. In my new avatar as a cook tried it out and it came out perfectly! Eating this took me back to my childhood days and right into my mother and pipi's kitchen. Bring the milk to a boil, reduce it half the quantity while stirring continuously. Add 5 table spoons of sugar (you can adjust the amount of sugar according to taste) to the milk and once the sugar has dissolved, add the slices of bread without the crust. Mix well and remove from heat. Let the mixture cool down before mixing the two eggs. 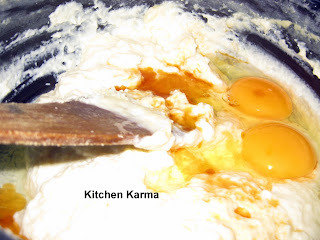 If you put the egg into the warm mixture the egg will start cooking and curdle up. Take a tin pan, heat it, add a table spoon of sugar and keep rotating over the fire. The sugar will melt and caramelise turning reddish brown. Keep the pan aside and let it cool. 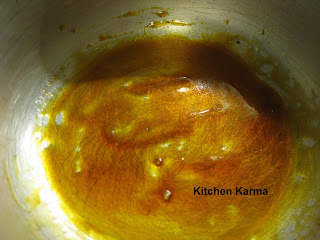 Once the pan is cooled, pour the batter into the pan and put it into a pressure cooker and wait till three steams, reduce the heat to low and keep the pressure cooker in the low heat for about 10 mins. 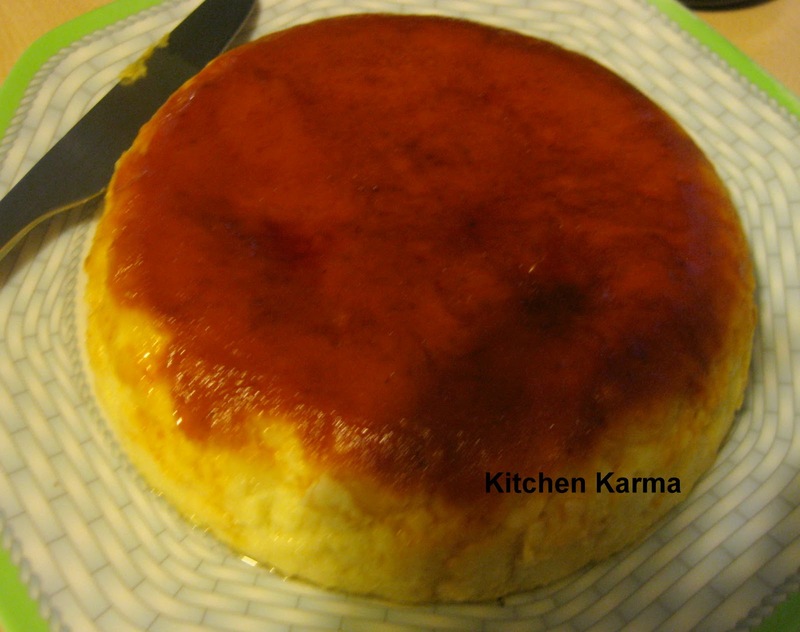 Once the pressure cooker has cooled, bring out the pudding tin, turn it upside down on a plate and put it in the fridge for a couple of hours to cool it before serving.